The power reserve indicator happens to be of great importance to some and of far less importance to others, understandably so. For starters, one could always argue that winding a manual watch and not knowing when to stop (especially if it’s your first time) can be rather intimidating. Yet again, even in automatics, it’s one way of telling that your watch is self-winding just fine and without issues. 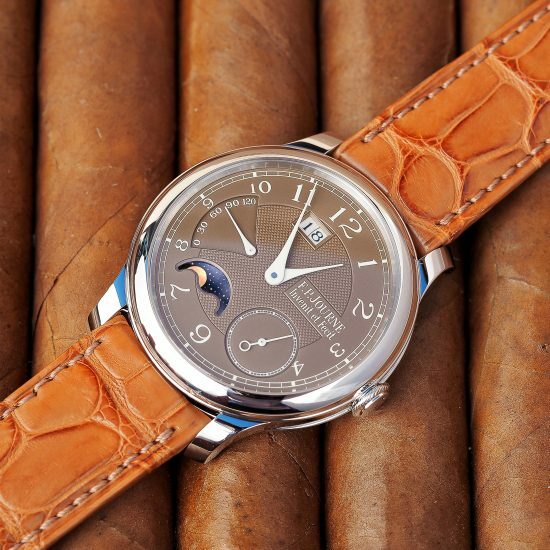 Putting aside needs however, you wouldn’t imagine that a power reserve requires any real setting. It looks fairly simple; wind your watch and the indicator will show you how many hours you have until the watch stops. 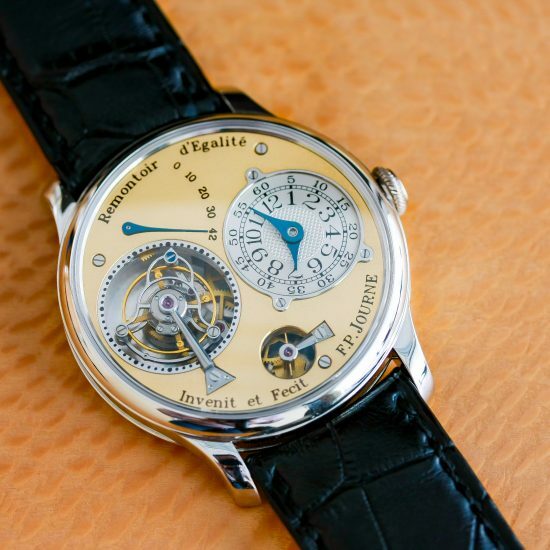 That was my train of thought until I noticed something with one of my watches; namely my Tourbillon. 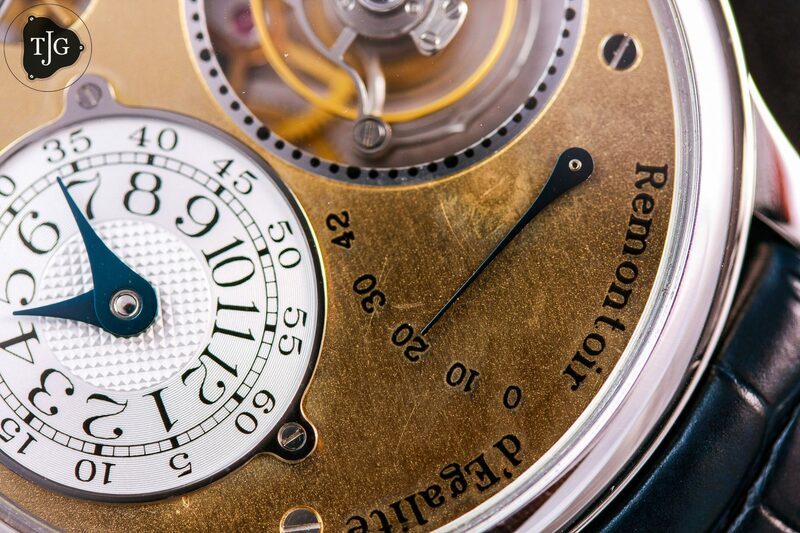 Typically, with Journe’s tourbillons, one would notice the remontoir brake ticking in one-second increments until you begin to near the end of your power reserve, at which point the ticking turns to dragging/sweeping. My experience with my watch was a bit of a disappointment as I started to notice my remontoir brake sweep around the halfway point, leading me to believe something wasn’t really functioning well. 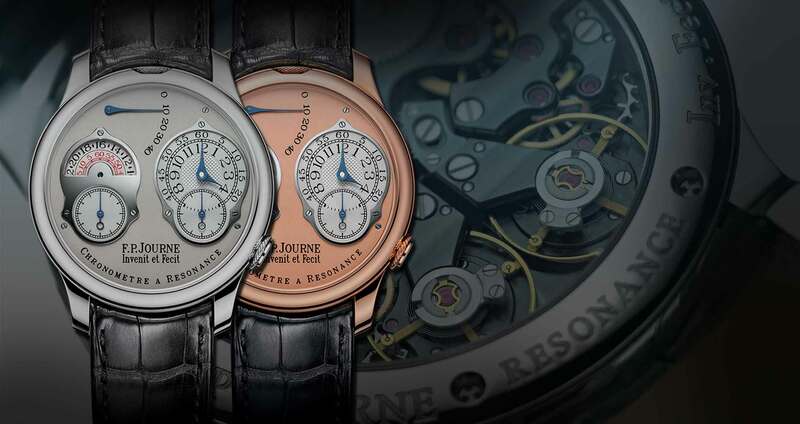 I was fortunate to ask Mr. Journe if such an observation was normal to which he confirmed, though towards the end of the power reserve. Upon telling him that i noticed sweeping around halfway, he began to take a closer look noting my observations as abnormal. The first question he asked me was if I typically stop winding as soon as my PR indicator hits “0”; and such was the case and the problem. It’s when a mainspring’s energy is entirely exhausted that a watch will completely stop. When winding your watch again from that point, your PR indicator might indicate a full wind yet such might not be true. Think of the PR as a countdown and the only way to get it set correctly is to start with a full wind, i.e. from fully energizing a watch’s mainspring. 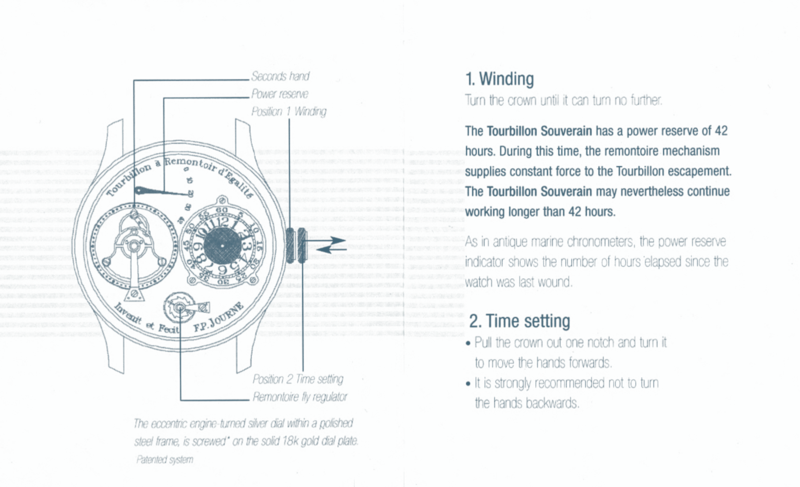 In the case of a Journe, you typically have a few more turns on the crown left even when your PR indicates a full wind. Thus, in order to calibrate your watch, one must wind it fully to the point the mainspring “blocks” and not necessarily when the PR indicates full. In my case, my lack of calibrating indicated a more loaded mainspring on my PR indicator when in reality, it was some hours short of that. It was also interesting to note that once I began to set my PR appropriately, my watch would run past 42hrs as indicated in the manual below (which people should start reading unlike myself). Written in the user manual are precise calibrating instructions.